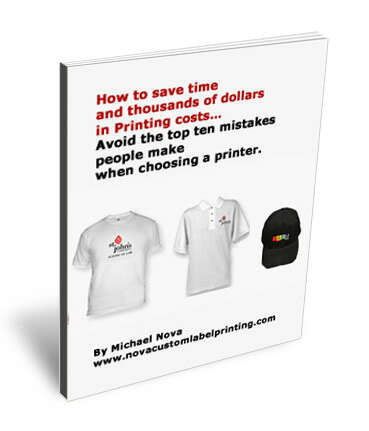 So you want to create a great t-shirt printing design, but not sure where to start. Well, t shirts that really make you think, “wow” are always carefully planned. Let’s go over all the aspects of a well-designed t-shirt. Bet you didn’t think that the shape of the design would make a difference, eh? With t-shirt printing, a simple square or rectangle can work against you, where you can take advantage of the medium. By stretching your design to all kinds of custom shapes. Not just lettering, but sharp lines that stick out grab attention. Keep this in mind when designing your custom printed t-shirts. For instance, think of a rocket ship, or an arrow, and how that sticks out. If you were to do some research on t shirt colors, you’d find out that red on black is the best-selling combination. Generally, you want a bright color on a basic colored garment for maximum impact. That does not mean that you can’t get away with a white on black or black on white design. But if you want to maximize your sales, keep colors in mind. Now, the other thing to keep in mind is whether colors match each other. Which colors are complementary to each other? 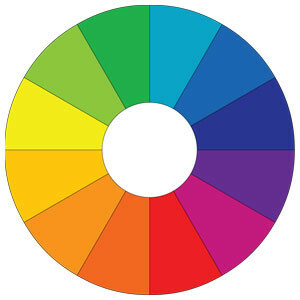 Take a look at this color wheel below. When you’re looking at the color wheel, notice that if you were to pick blue, the color opposite, that would be orange. These are complementary colors. Pick one color unknown go all the way across the wheel to find the color that is complementary to it. Orange and blue, purple and yellow are other examples. The problem is, colors across the wheel from each other can also be categorized as clashing colors. That’s why it’s always good to use a neutral color (like black, white, brown) in between the two to offset the difference. But here’s the interesting thing. If you want to grab people’s attention, you want colors to clash. It really depends on the effect you’re going for. Analogous Colors are colors that are next to each other. For instance, yellow and light green. This creates a harmonious look. Again, this depends on the look you’re going for. So you’ll need to experiment with colors to see what works for your particular design. There are no hard and fast rules on colors when it comes to custom t-shirt printing. For instance, if you have a comic book character on your t-shirt. You may want to make it very colorful. But if it’s a logo, you may want to make it more professional looking, which means less colors. People actually spend years doing research on colors, so don’t get carried away with this. Experimentation is the key. With direct to garment printing, you can print unlimited colors because it’s printed in in full color CMYK versus screen printing, which is printed one color at a time. This allows you to really do whatever you want in terms of colors. 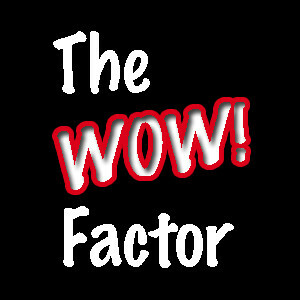 It’s ideal for full color photos, for example, and is my personal favorite for creating the wow factor. While some designers like to go crazy with fonts, what’s most important is for people to be able to read what is on your t-shirt. So pick a font that is easily readable. Try not to use more than three different fonts on one t-shirt, or it will look too busy. Get a nice balance by using bold or cap typeface for the main words only. Squint your eyes and look at your design from a few feet away. Which words stand out to you? Now adjust and repeat the process. When you squint, you need to see the most important words clearly and the rest of it not as clear. Also keep in mind your company’s branding strategies. Remember everything that you print should reflect your company’s image., Keep it consistent. Each stage of your design should take you to another level. This is why it is recommended to create your design in a number of stages. In the beginning stages, feel free to let your creativity run wild and try out all sorts of fun ideas. Make sure you plan and create drafts to see where your creativity takes you. In the later stages you can rule ideas out, and decide what does not work and what does. It takes time to create a T shirt that has that “wow” factor, but you must have a strong foundation with several elements that stand out. If it seems overdone, or to gaudy, trust your internal “cheese meter”. Keep in mind, less is always more when it comes to T shirt design. For ideas, look at the competition. There are websites online where t-shirts are designed and sold. Visit those websites and look at the best-selling shirts. Borrow ideas from them and incorporate that into your design. You don’t need to reinvent the wheel, when there are many great ideas out there already. A shirt that’s already selling can give you an idea for a new design, so research is always a good idea.